I would argue that you can pretty much stop anywhere and you will have a nice tasting experience. 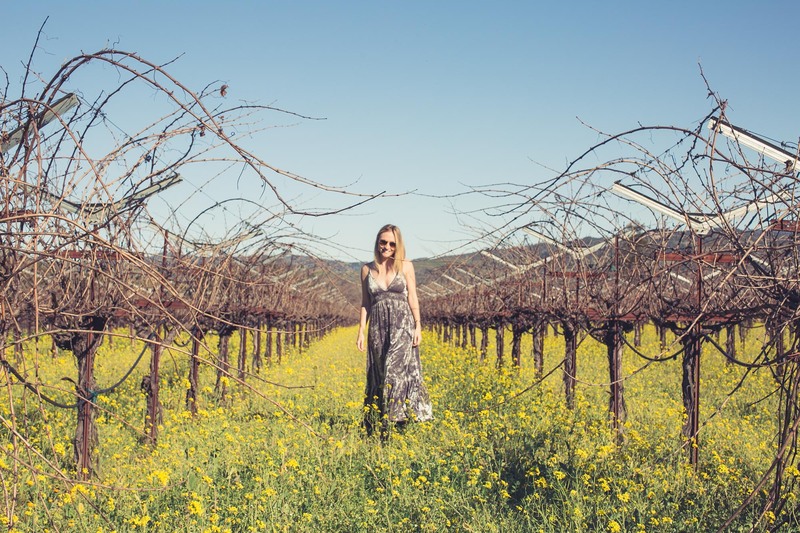 However, we all have our favorites, and I’m here to talk about my picks for the best three, which I believe are the “must see” wineries in Napa. The reasons – well, they offer more than just wine tasting… something that’s a bit of an adventure for everyone. Each winery is one of a kind (e.g. oldest winery, Italian-style castle, gondola). They are within a short distance of one another, so you can easily visit all 3 in one day. Each has a great selection of wine and tours. There are fantastic photo backdrops in every case. They can be quite overcrowded on weekends and public holidays. The price is a little higher than at other wineries in the area. 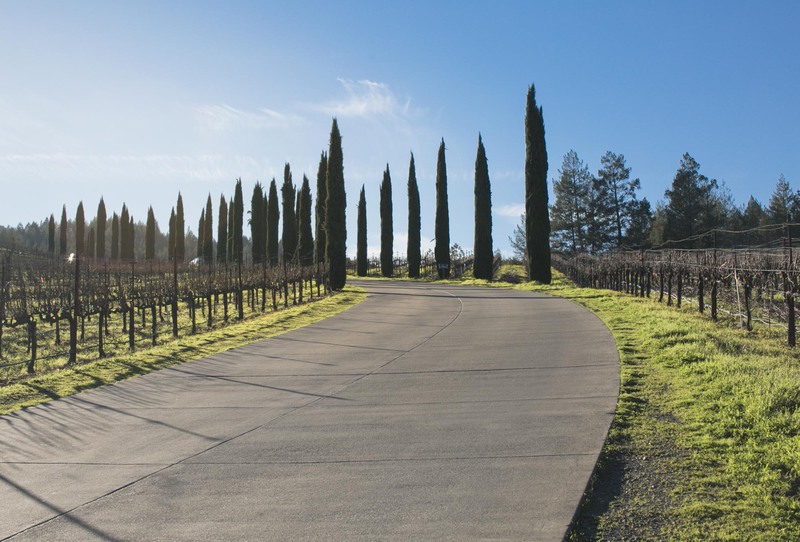 Offering award-winning wines, a rich history, a beautiful picnic area, a bocce court, historic caves, and stunning vineyards, Beringer Winery becomes an easy choice for my list of must see places in Napa. 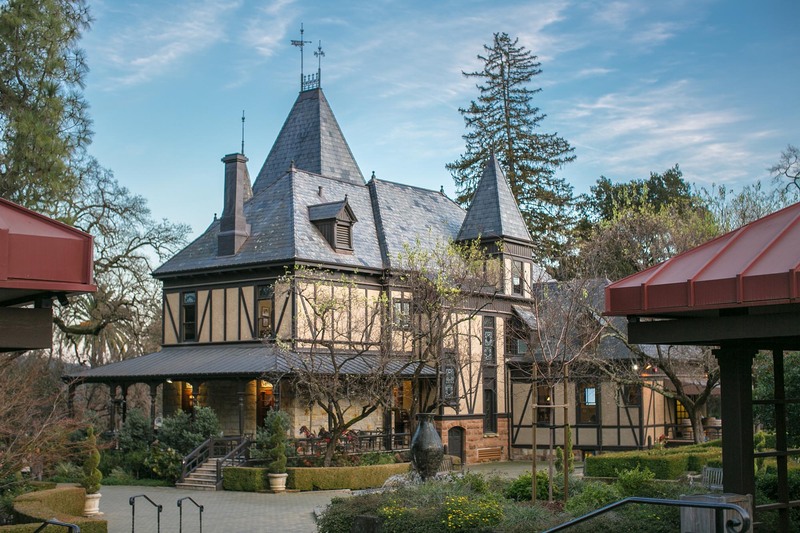 Founded in 1876, Beringer Vineyards is reportedly the oldest continuously operating winery in the Napa Valley. It’s large, with many beautiful buildings all around. The historic Rhine House, Hudson House, and Old Winery are gorgeous and so full of history and art. Adding to that, the grounds are just stunning, and one of my favorite things about this place. With plenty of outdoor seating, and very romantic surroundings, visitors can easily spend hours exploring the grounds. 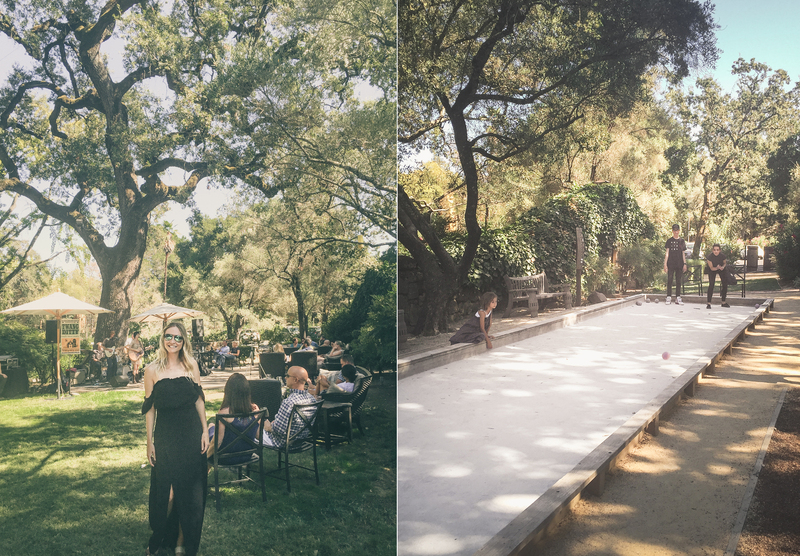 In the summer, they set aside space for a band that plays country music in the garden. It is lovely, and it definitely adds to a memorable wine tasting experience or day out. Right then — let’s get to the tasting. Beringer offers wine tastings at their regular bars, one of which is situated at The Old Winery. The tasting there costs $25 for three glasses. Or, you might prefer to head to their fancier and more private “Rhine House” (which was the home of one of the Beringer brothers). The tasting there costs $40, and you can choose three award-winning special collection reserve wines. Must be 21 years or over. 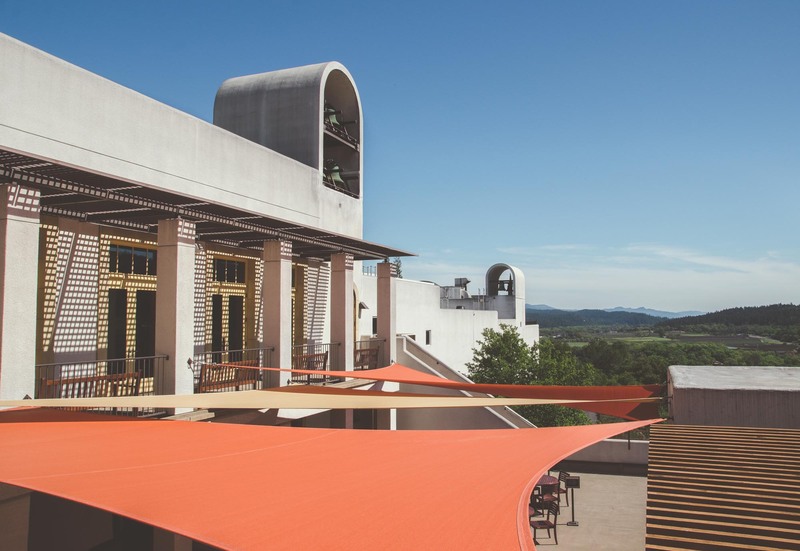 I tried this 30-minute legacy tour on my last visit to Beringer and thought it was well worth it. 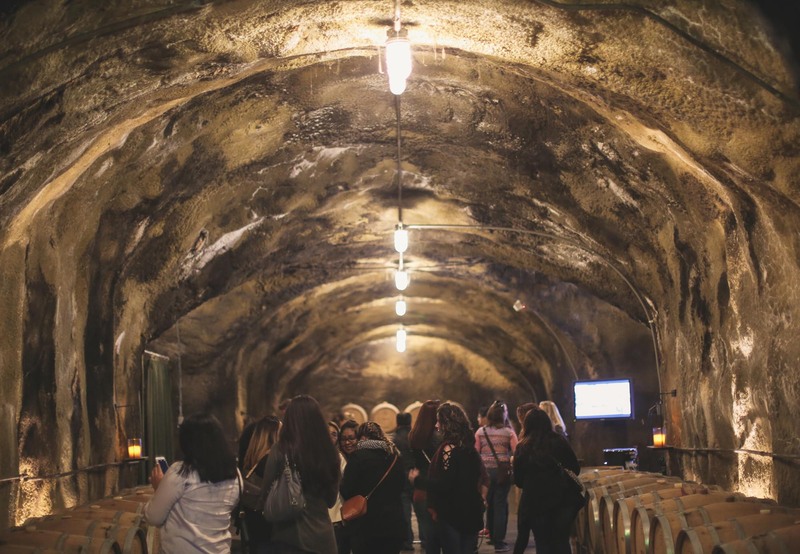 A very friendly guide will walk you through the Old Winery, where you will get to learn about the historic tunnels and caves within the building, whilst exploring Beringer’s long and fascinating history of winemaking, and quality control. For those 21 years and over, you get to taste a selection of 3 wines during this tour. 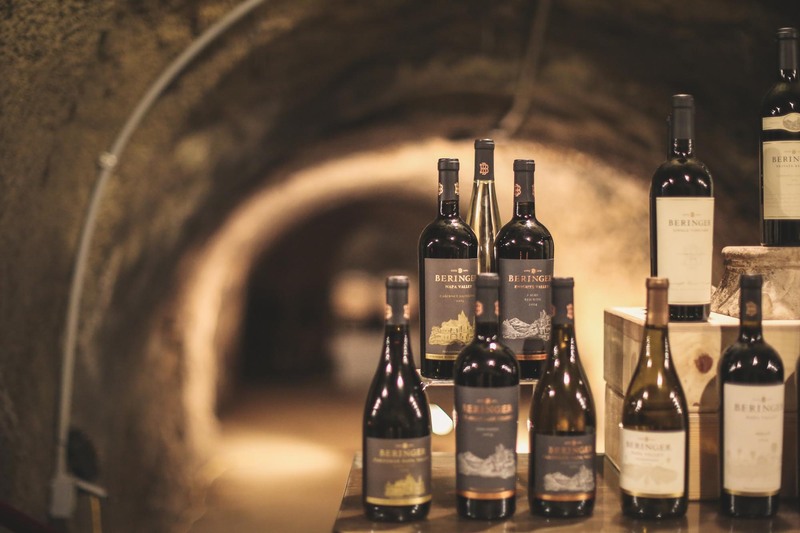 Overall, for almost the same price of a normal tasting (3 glasses), you get to do a tour and tasting at the same time, which makes this tour a bargain. 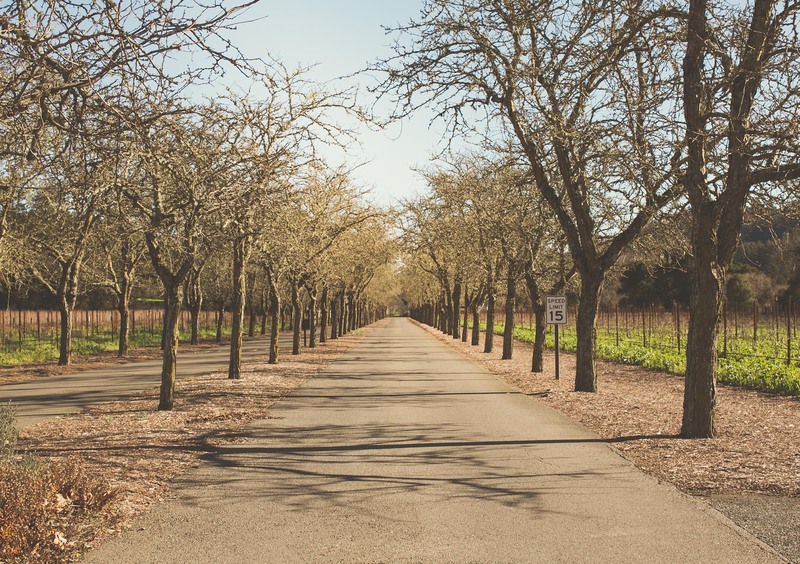 In a one hour tour, you will be introduced to Beringer Vineyard’s rich winemaking and culinary arts history. Following a brief walking tour of the property and demonstration vineyard where you will learn the stages of wine grape growing. 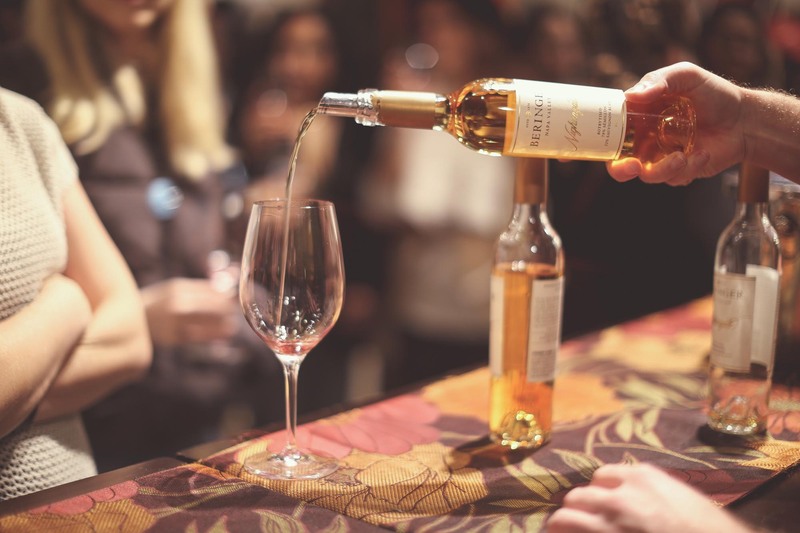 Guests will be seated in the historic Rhine House family kitchen to explore the art of wine and food pairing and to enjoy a specially selected flight of Reserve wines. Having lived in England for years, and having a love for castles or anything fairytale related, I was quite surprised to discover this place in Napa. It’s actually a castle-winery, which already makes this a special place. Located on a small hillside, as you drive up the curvy road, you are surrounded by the evergreen Tuscan cypress trees lining the road. As you enter the grounds of the castle you will find farm animals such as goats, roosters and chickens roaming around, which is quite amusing and makes the place very family friendly. Also, there are lovely gardens and stunning views of the surrounding hills and vineyards. I find myself spending as much time outside the castle as I spend inside. The castle includes enormous fresco paintings by Italian artists, a medieval church, a dungeon, and a torture chamber (freaky, I know), among other things. Last, but not least, there is a very impressive wine tasting room that gives the impression that you are in a dark tavern. It’s quite neat. 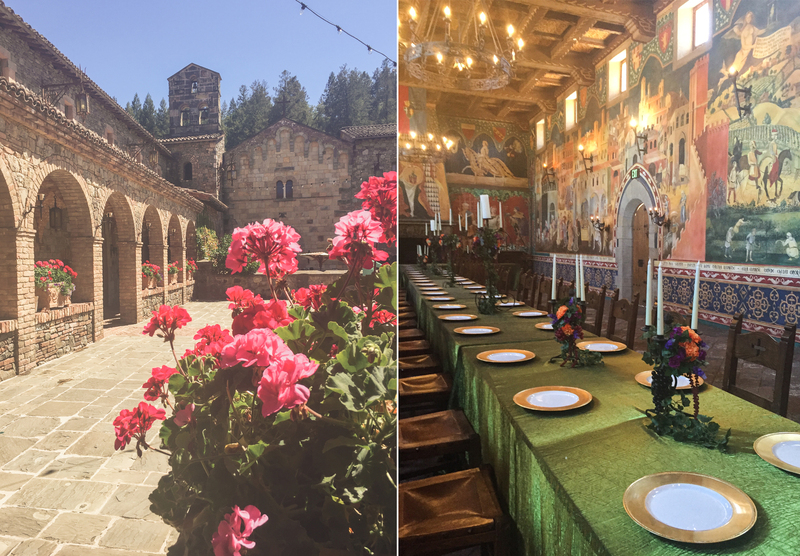 Overall, I love the unique architecture, the authentic medieval design and the romantic settings that this castle-winery embraces. All of that, while also drinking lovely wine. General Admission: $25 pp (IMPORTANT – If you don’t want to do the tasting, you still have to pay $25 just to enter the grounds of the Castle. That is something I was surprised by, so be aware of the charge). 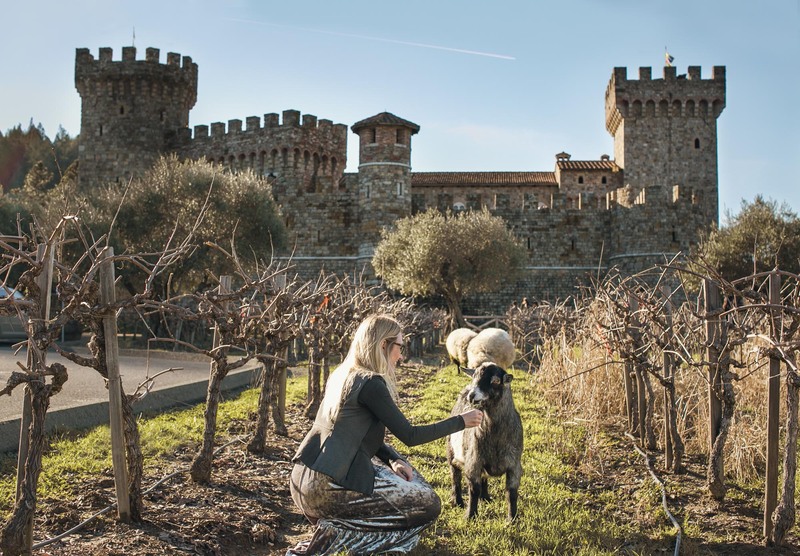 With the General Admission fee (I usually opt for this option), you get access to two levels of the castle, which covers a lot of the castle already, and a five wine tasting in the main tasting room. Children and Young Adults ages 0 to 20 may enter the Castello only when accompanied by an adult over the age of 21. With the guided tour option, you get to enter the whole castle, and explore areas that are inaccessible to the general public. 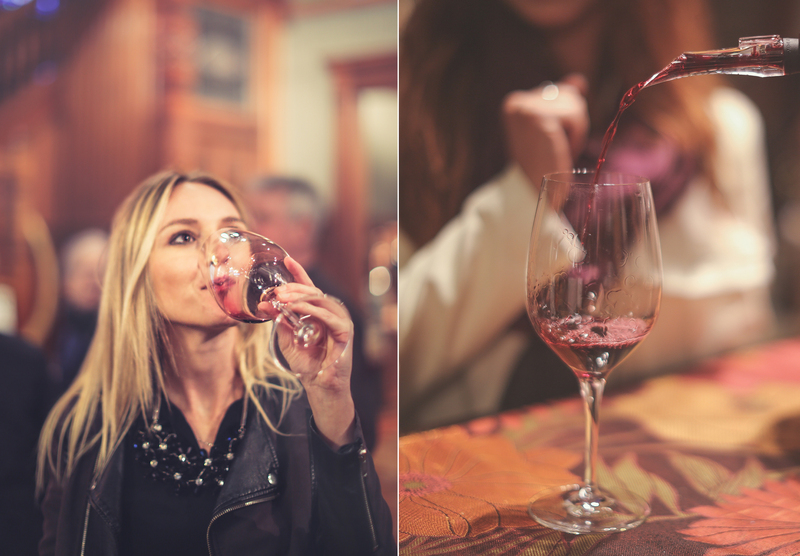 While also having 5 tastings, you have the ability to taste a large variety of wine. Breadsticks and salted dark chocolate are served to help cleanse the palette and to keep you from getting tipsy. Be warned, there are no chairs in the tasting room, so you are standing the entire time. They push wine sales a little bit too hard. At times, the service can be suboptimal (it depends on the attendant of course). Can be quite overcrowded, especially at weekends. Sometimes that can take away from the experience itself. $25 for Admission fee to enter the Castle (whether you do the tasting or not). NOTE: I just wanted to list the facts here so that people know what to expect. Things could indeed be improved but regardless, I certainly recommend the visit! 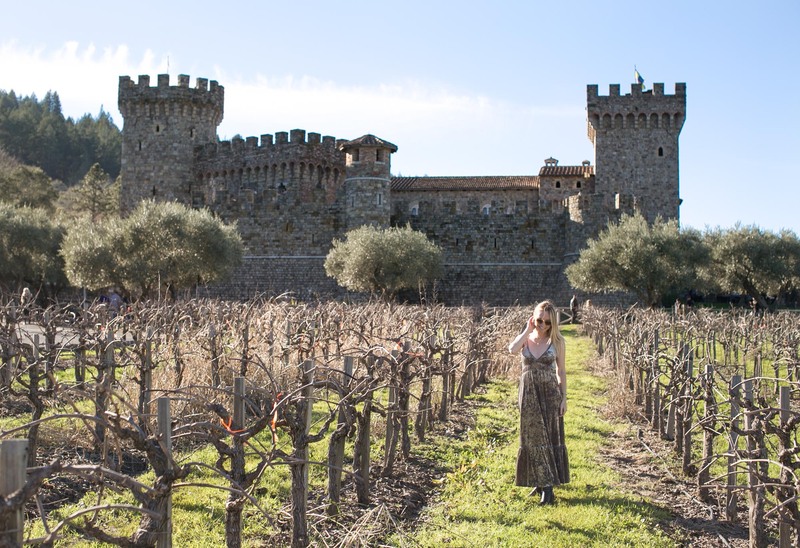 Situated just across from Castello Di Amorosa, Sterling Vineyards is the first ever winery I visited in Napa (wow, it has been almost 5 years now! 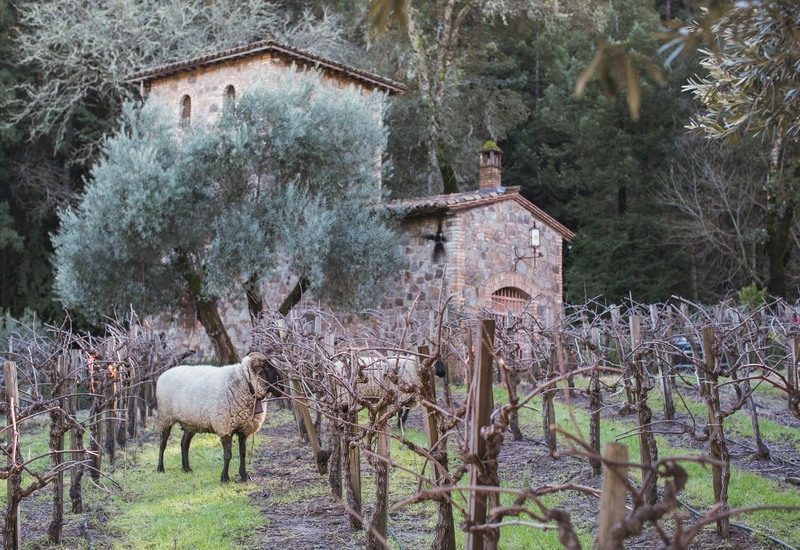 ), and it left me with such a wonderful impression of Napa Valley that from then on I was sold. I wish I could come back every weekend! 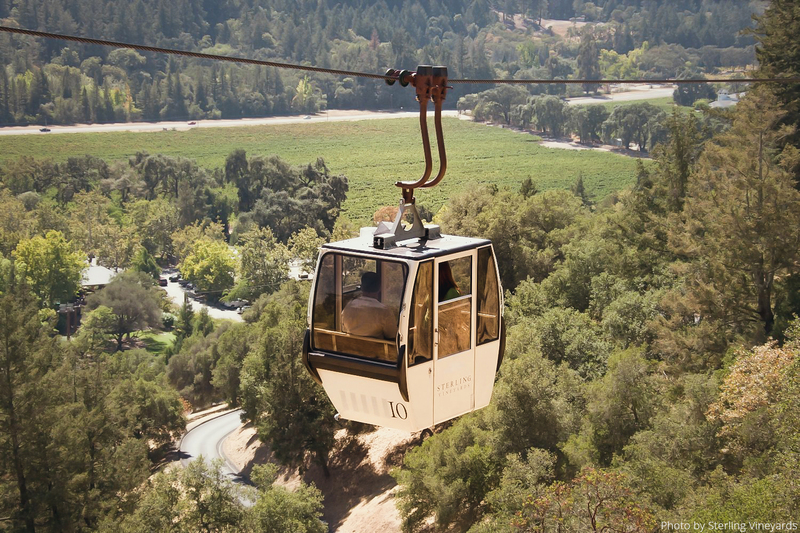 To begin with, The Sterling Vineyards is one of a kind in Napa Valley as they offer an aerial tram (gondola) that carries visitors up a hill to the top of the winery. This is one of the most spectacular views in the valley. At arrival, you’re welcomed with a glass of wine to enjoy while you admire the art galleries and the elevated walkways that allow you to follow the winemaking process in motion-activated flat-screen televisions whilst exploring the facilities. 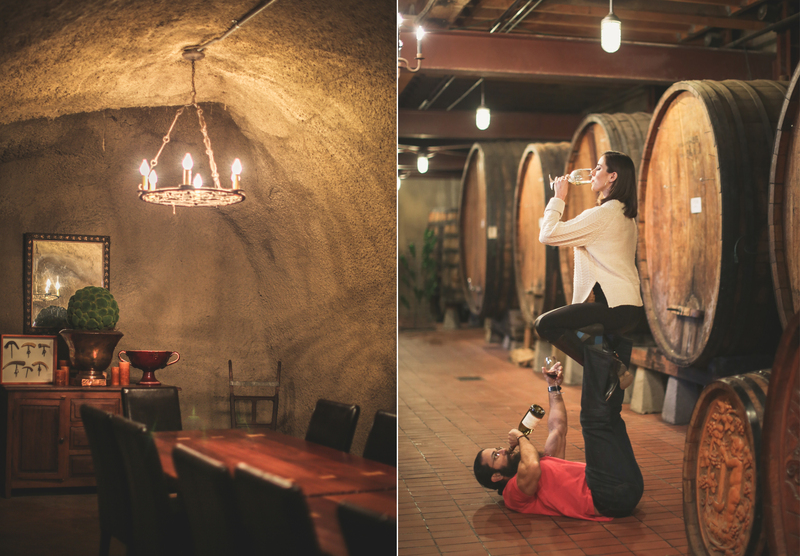 This arrangement lets guests tour the winery at their own pace, and I absolutely love that. As you enter the terrace area, the views will take your breath away. I found myself spending the majority of my time at the terrace, taking in the view, and of course taking tons of photos. 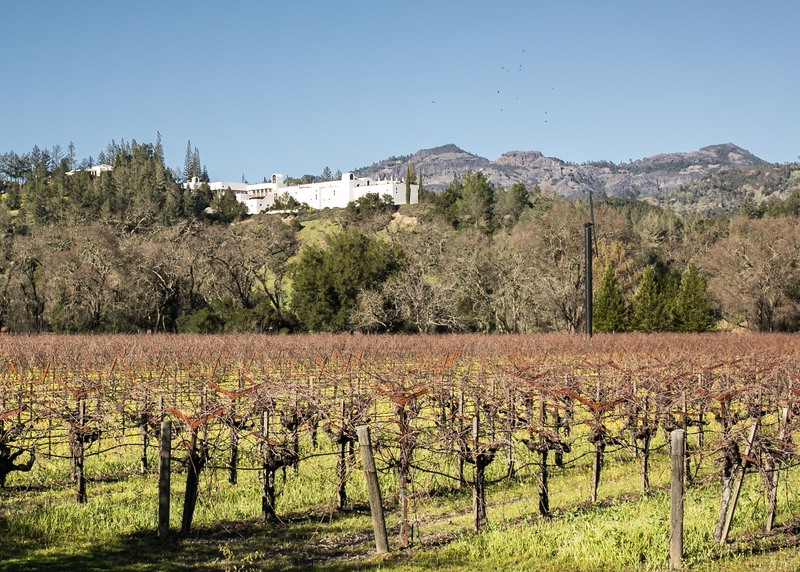 The general admission fee includes the aerial tram, self-guided tour of the lower portion of the winery, scenic views from the terraces, and, of course, a wine tasting. Also, as a final touch, you get a commemorative wine glass to take home (I still have mine, and it ended up being a really nice souvenir). All in all, Sterling has a lot going for it: beautiful mediterranean-style architecture, stunning location, unique aerial tramway, art, historic bells, and great tasting. A top destination and I thoroughly recommend the experience.